Orestes Augustus Brownson — religious and philosophical explorer, political theorist, pioneer of personal journalism, Transcendentalist, and champion of American Catholicism — lived a colorful and varied life. His contemporaries likened him to a weathervane, changing direction with every puff of wind. He preferred to think of himself as a seeker after truth, never contented with yesterday’s answers. 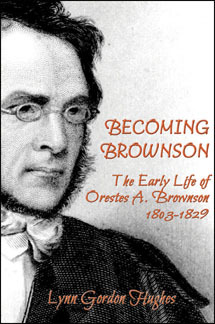 Becoming Brownson is not only the story of Brownson’s formative years, but an essential key to the problem of reconciling the many dimensions of his mature and fruitful life.